- I perform at weddings, birthday parties, and corporate events. 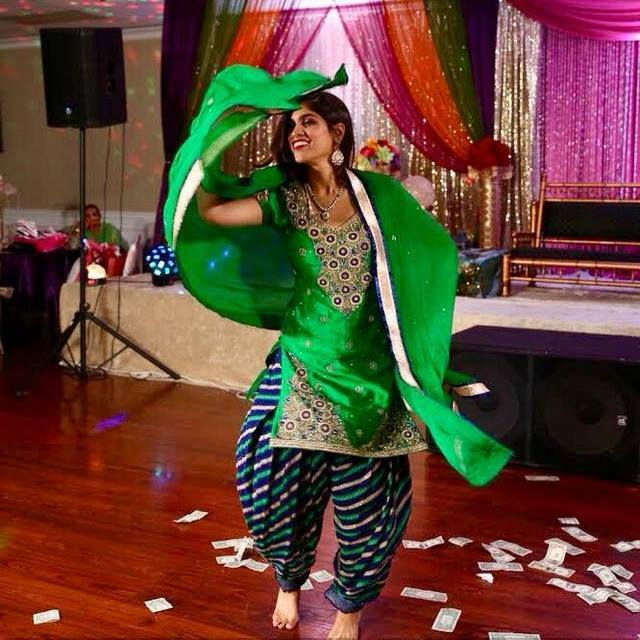 - I teach private lessons in the Chicago metropolitan area (Bollywood, Bhangra, Classical Fusion). If you're looking for someone to entertain your guests with a lively, fast-paced performance, then "Keh Do Na"! Sonia performed at my wedding in Seattle. My wife is very interested in Bollywood dance, and Sonia didn’t disappoint. She was very kind, helpful, and patient. The show went great, and I was very satisfied with her services and instruction. Diverse repertoire, fun, spirited, very accommodating and easy to work with, professional. Was able to perform on short notice and fit well with our group. Highly recommend. It was a pleasure to work with Sonia. She captures the spirit of Bollywood in her dancing. She is easy to work with and very accommodating. I would definitely hire her again, and I highly recommend her. She is so beautiful, captivating, and talented! Got the whole crowd involved, every single person truly enjoyed the performance!